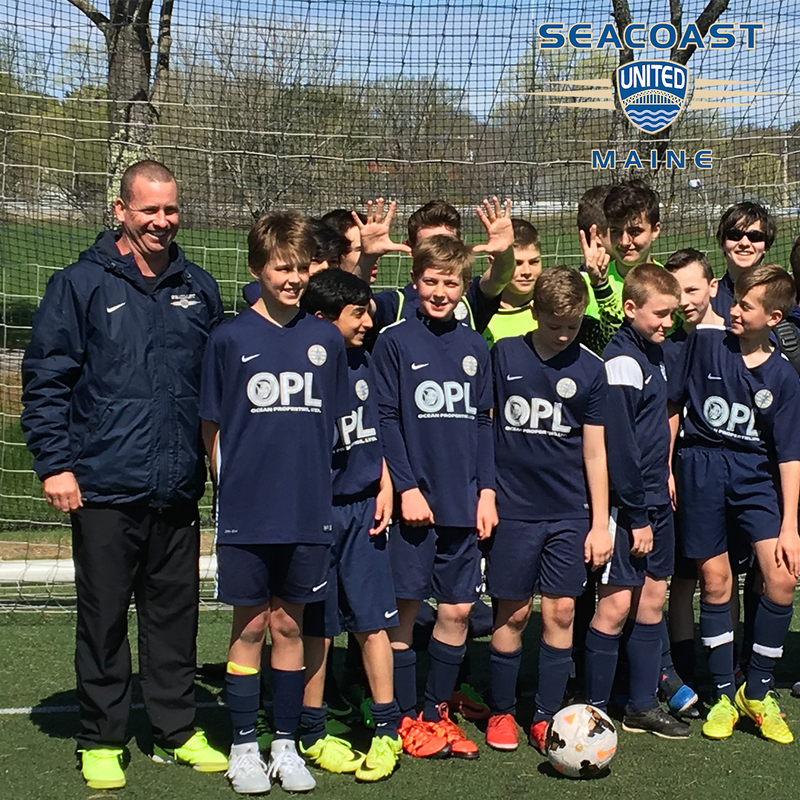 In this week’s “Get to Know” article, we will be learning more about Seacoast United Maine South staff member, Paul Foley. Paul will be coaching the clubs 02 Boys Premier White team for the 2018/19 season. Tell us a little bit about yourself! What is your previous experience playing soccer? Coaching? I went on to high school at Cape Cod Tech. I played varsity for three of those years, starting every game. I went to College at Paul Smith’s and was the only walk on starter. It was a great team. After College, I was in need of some action and joined a Scandinavian team. The Coach “Jost” just said, play. No details, just play... We won everything in what was called the Eastern league. We got small mentions in the news as this at the time was the only somewhat professional soccer available in the U.S. other than indoor. My time there was called short as an invitation to an Irish team came. “The Finians” I pronounced it terribly wrong every time drawing later from them. I was, and am sure was the only American to ever play with them. We had sponsors, Dinners after matches, uniforms and all fees paid for. The rest of the boys were also given full time employment, housing and a contract to stay loyal to this team. I was gainfully employed and needed to give no allegiance other than show up. This was a pretty historic group... Within this group there was a guarantee. That guarantee was nonstop humor. Every second and every opportunity was used for joking and mind games. I’ll never forget my experience with those gentlemen. What made you decide to want to start coaching? What attracted you to Seacoast United Maine? Coaching came when I moved to Maine and started with my kids in Rec. Then middle school and then club. I started with “Midcoast United”, a small grass roots club that catered to local soccer aficionados. We would hear about Seacoast United and the inevitable happened. Our family joined Seacoast and the experience has been one of the best of our lives. Seacoast sent me to school to learn how to coach and properly license me. Looking back, it’s actually just as much fun coaching as playing. Hard to believe, but it’s true! With Seacoast, I started with u11s, and now, I coach u17-B Seacoast United Maine Premier White. We are 2 wins and a 1 loss with only one goal against total for 2019 so far. Favorite Hobbies- Hunt, fish and brew Beer. Favorite Music- Tie, Mark Knopfler of Dire straights and Van Morrison. Favorite Premier League team- Chelsea F.C, of course!